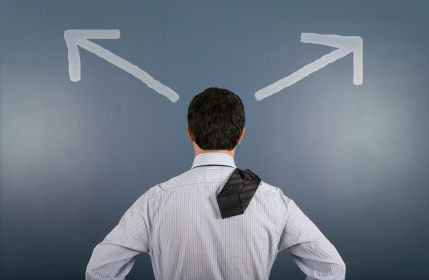 Making decisions about your business or career can be a scary proposition to many of us. Some can make quick and effect decisions while others agonize over all the options and can't commit to a course of action. Ultimately, they are afraid that there are better options just around the corner if they only do more research or wait another day. In my experience Leonard Ravenhill was right when he stated "The opportunity of a lifetime must be seized within the lifetime of the opportunity." When we take too long to make critical decisions for our business or ministry, there's always a price to pay. Too often the window of opportunity is no longer there: the price goes up, the competition beats us to the punch, the organization loses business because it's under resourced. I must confess, I am much better at the big-picture decisions today than I used to be. Here's how I handle the big stuff. Set a date to make the decision. Without a deadline things linger and languish way too long. Give yourself a reasonable amount of time, but make it firm. "By this time next week, I will have this thing figured out." Do yourself and your organization a favor and stick to it. Set your parameters. Based on your situation, ministry or business model, you need to decide your criteria for saying "yes" or "no" or set a maximum budget. If you don't know where your boundaries are you cannot make a clear call. You don't decide your walk-away number during negotiation--usually that's too late and by then you are emotionally involved in the deal. Gather all the facts you can. You will never know everything you need to know about anything. I don't care what it is. I see people driving themselves and others crazy because they keep digging and digging trying to make sure they know every detail. All you need is enough information to feel comfortable to make a call. Pull the trigger and don't look back. Once you make your decision, move on. If something better, cheaper, or shinier comes along tomorrow it won't help you, so why bother with it. Focus on your next big decision and make peace with your choice. In my experience one can waste more time and a lot of money by pushing deadlines into the future because of not wanting to make the wrong choice. Interestingly a "non-decision" can cost you a lot more than even the non-ideal, but acceptable choice.